It started more than five years ago when PhD candidate Nakia Lee-Foon joined The Black Health Alliance (BHA) as a board member while she was earning her Master’s degree. She was eager to make a difference and improve health and access to care for Black Canadians. Earlier this fall, she alongside the BHA, community stakeholders and organizations successfully lobbied the Canadian government to allocate $19 million over five years to address the significant and unique mental health challenges Black Canadians face. “Black Canadians experience their share of mental health challenges. Studies have shown that newcomers from Africa with mental health challenges experience difficulty in accessing care,” said Lee-Foon who is pursuing her studies in the DLSPH’s Social and Behavioural Sciences. The Federal government grew interested in the matter and began early conversations and negotiations with the BHA, a charitable organization that develops interdisciplinary partnerships to address Black-Canadian’s health disparities, PHAC, researchers, organizations and community members as well as stakeholders in Black-Canadian communities. The BHA, community stakeholders and organizations successfully lobbied the Canadian government to allocate $19 million over five years to address the significant and unique mental health challenges Black Canadians face. On September 25, 2018, The Health Minister the Honourable Ginette Petitpas Taylor announced the launch of the new funding initiative through PHAC and the Ministry of Culture and Affairs. 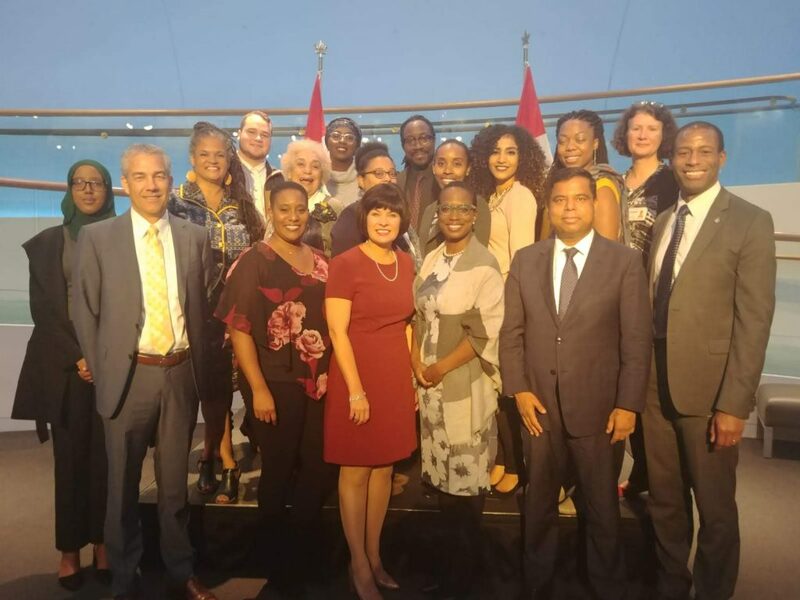 Unlike typical grants, the groups who were part of the negotiations ensured that projects or programs earmarked for the government grant are capacity-building driven and focused on addressing mental health issues among Black Canadians. “There is a desire to build capacity, so when the funding has been distributed, the community will actually have developed the tools needed to either extend the initiative they proposed, or the community can take what they learned and apply it to other programs in the long-term,” said Lee-Foon. Several black-leading organizations began lobbying the federal government on multiple issues facing the Black Canadian community in 2015. That same year, the lobbying block invited the BHA to add a focus on health. Since February 2017, the group has formally met with PHAC to highlight the need to address healthcare disparities facing Black Canadians. Lee-Foon looks back fondly on the long journey and credits DLSPH for giving her the tools to participate actively in the negotiations. “Being part of the DLSPH has helped to enrich the work I do at the BHA, particularly with accessing information and being on the cutting edge of public health research. It has also helped me to enrich some of the information that I delivered during those meetings with the Minister,” said Lee-Foon.